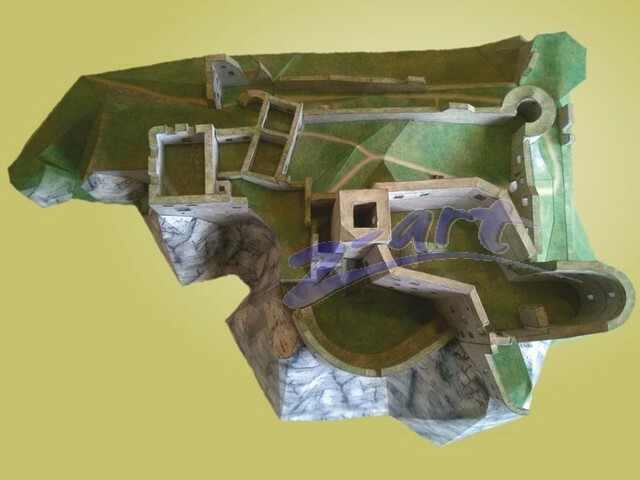 Two models in one - historical reconstruction and current state. 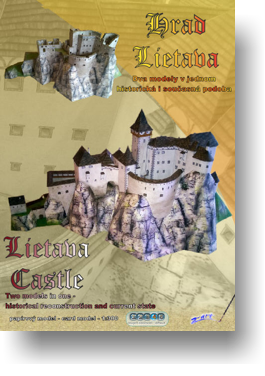 Leitava castle is located in the West of Slovakia, on the Eastern side of Súlovské rocks area. 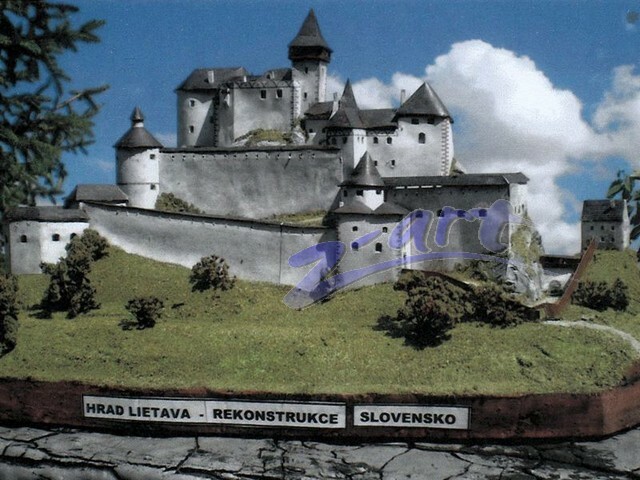 The name of the castle probably comes from the name of a close river Rajčianka, which was called Letava in the past. 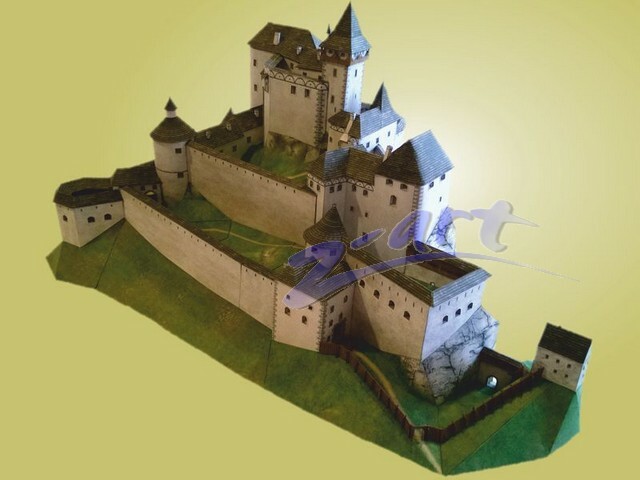 The castle was founded in 1241 as an administrative and military center. The first official owner was the Balas family. 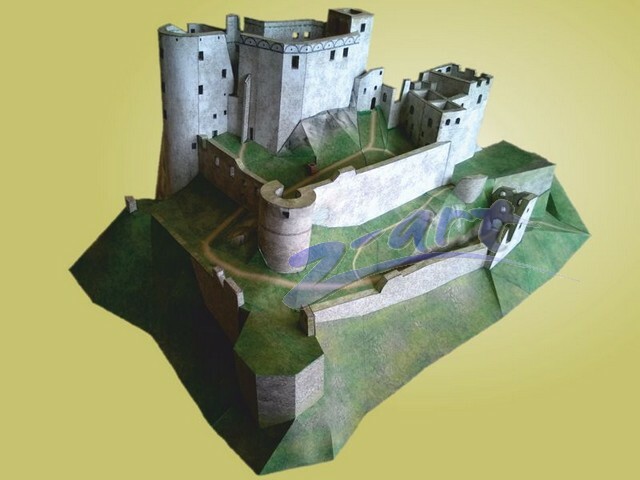 During their era, the first four storey tower with a square base, a small palace and defensive walls were built. At the end of 13th Century, Matúš Čák impounded Lietava. After his death in 1321, the owners changed quite frequently. One of the most important owners was Matyas Korvin, who gave the castle to his military commander Pavol Kiniži, who already owned Strecno castle. 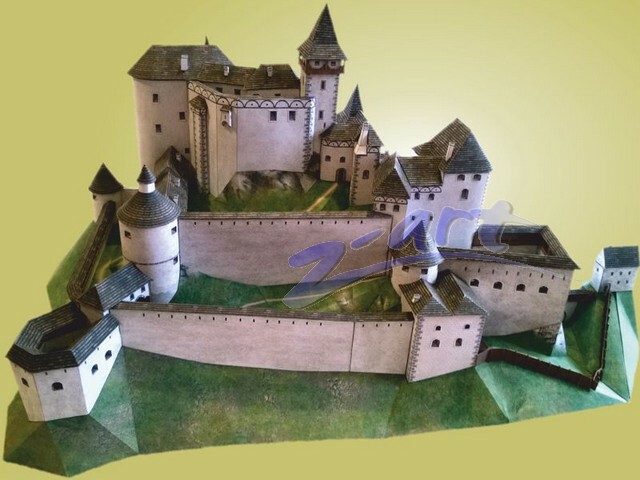 Pavol Kiniži devoted much effort to re-build the castle and he improved the castle – a new forecastle, a bastion, entrance gates, and a new large tower used for both accommodation and defense were built, and the general state of the castle was significantly improved. 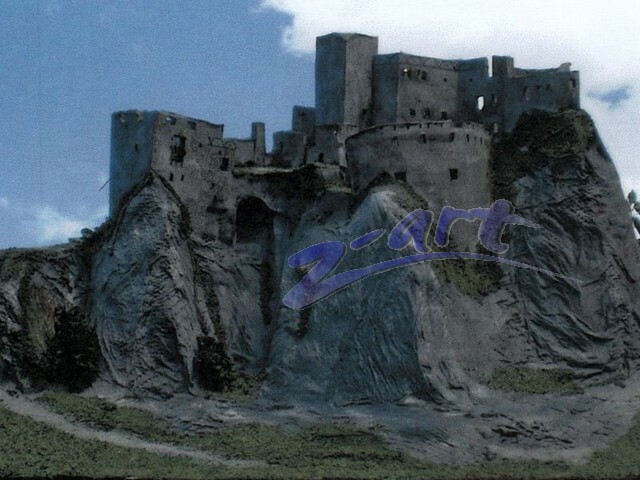 In the Middle Ages, the castle was considered unconquerable. 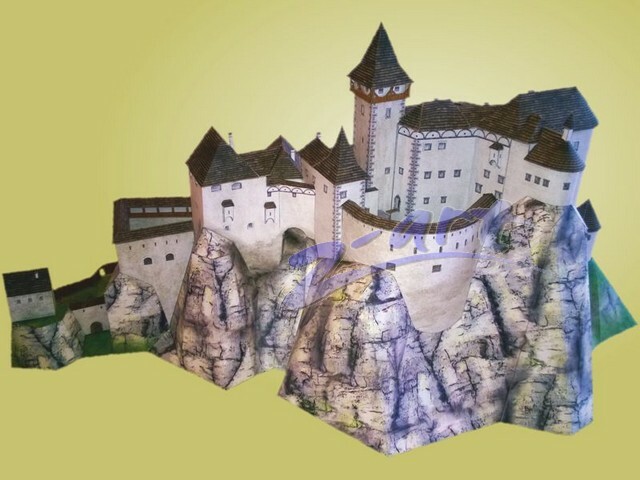 16th century was the best era of the castle. At the beginning of 16th century, Mikuláš Kostka was the owner. 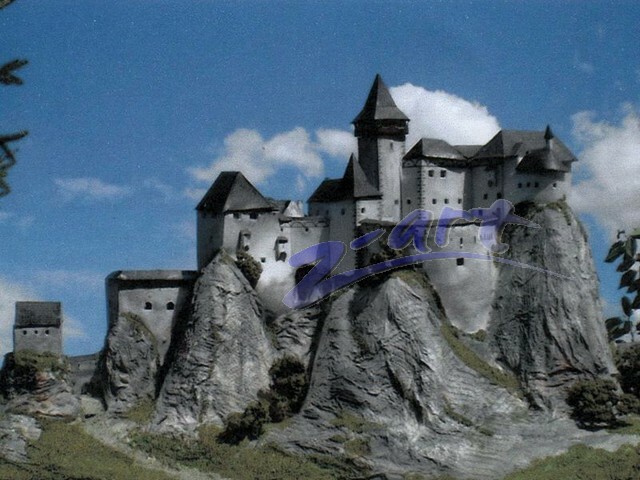 His daughter married Frantisek Turzo, who also improved the castle significantly. 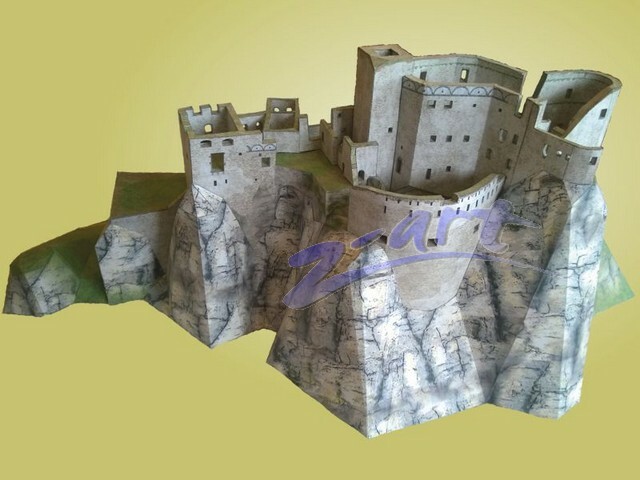 He even invited building contractors from Italy, who reconstructed the castle in the Renaissance style and paid much attention to both comfort and luxurious look of the castle. The new outer circle, another tower and a gate were built. During those times up to 300 people, mainly soldiers, lived in Lietava. 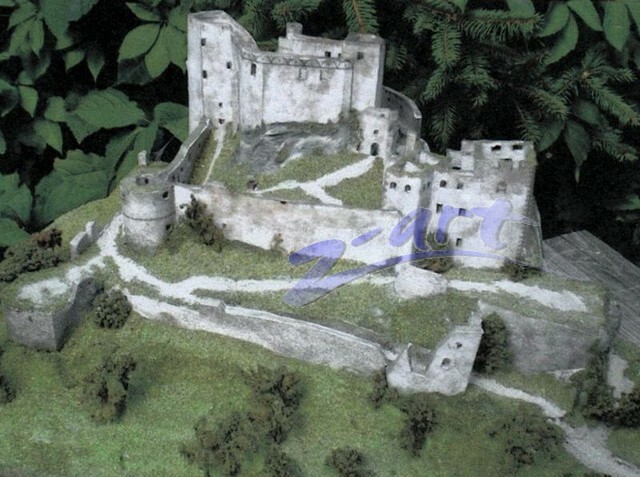 However, Turzo family was slowly losing interest in the castle and at the end of 17th century, Lietava was uninhabited. Today, only ruins are left. 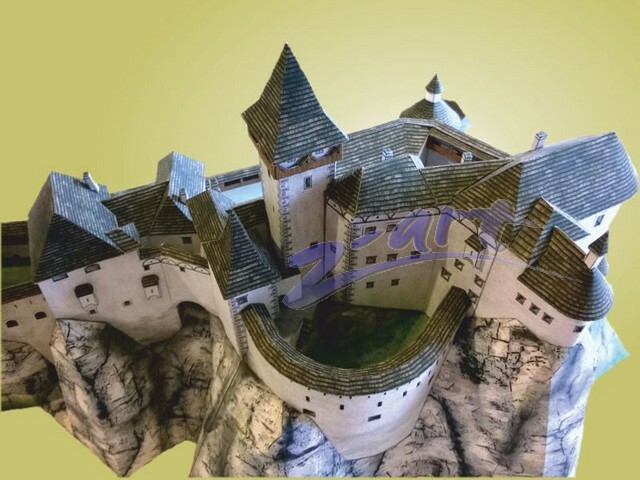 Nowadays, the owner of the castle is “Sdružení za záchranu Lietavského hradu” (Lietava Castle Preservation Society), which aims at preserving the castle. You can visit Lietava anytime and admire its picturesque beauty as well as breathtaking views to the surrounding landscapes.